We want to make you feel a real part of the Christian community here at St. Peter's - hopefully through our web site we can bring you all the information you need about us and encourage you to play a part in our worship and service of God. The PCC at its July Meeting agreed to make some changes to the pattern of Services at St. Peter’s from September 2018. These will mainly affect services at 6.30pm on a Sunday. We will also continue to have Choral Services at Advent, Christmas & Passiontide. These changes will initially be made for a three month trial period. They will be reviewed in December and will be discussed at the PCC Meeting on 8th January 2019. If you have any questions about this please speak to either Martin or Lesley. We have now received quotes for the replacement of the heating boiler at St. Peter’s and the order has been placed. The total cost will be £42,000, including the work needed to install a gas supply. It is hoped that the work will begin towards the end of February. We need the support of members of our community to help cover the costs of replacing the boiler. If you would like to make a donation towards the cost, please put it in an envelope marked ‘Church Heating’ and either bring it to church or drop it off at the vicarage. Any cheques should be made payable to St. Peter’s Church, Salesbury. If you would like to make a donation by bank transfer please let me know and I can arrange for you to be given the details of the bank account. If you are a UK tax payer please consider Gift aiding your donation. Thank you in advance for your support and also thank you to those who have already made a contribution, which is greatly appreciated. The PCC of St. Peter, Salesbury is the data controller (contact details below). This means it decides how your personal data is processed and for what purposes. The PCC of St. Peter, Salesbury complies with its obligations under the “GDPR” by keeping personal data up to date; by storing and destroying it securely; by not collecting or retaining excessive amounts of data; by protecting personal data from loss, misuse, unauthorised access and disclosure and by ensuring that appropriate technical measures are in place to protect personal data. To exercise all relevant rights, queries of complaints please in the first instance contact The Vicar at St. Peter’s Vicarage, 49a Ribchester Road, Wilpshire, BB1 9HU. Tel 01254 248072. 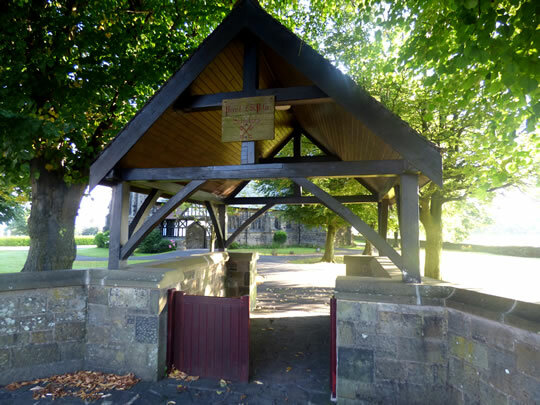 As you will be aware over the past year St. Peter’s, Salesbury and Wilpshire Methodist Church have been exploring our working together, including the possibility of becoming a Local Ecumenical Partnership (LEP). Following extensive exploration and a number of Church Meetings it has been concluded that at this point in time, it is not right for such a major step to be made. It has been seen that the proposals were perhaps ‘too much, too soon’ for many people and that enhanced joint working over a period of time, in a less formal way than an LEP, would seem to be the way forward. The outcome of the discussions should be seen not as the end but as the beginning of a new phase. We recognise that for some this decision will be met with sadness, for others there will be a sense of relief. A meeting involving the Leadership of both Churches agreed that it is important to find ways in which members of both churches can work alongside each other in a natural and seamless way for the benefit of the community, the Kingdom and the Gospel. The key is why do something separately when we can do it together and better. Truly joint and integrated services including All Age Worship. Festivals including the Harvest Festival and Lunch. Rose Queen Procession of Witness. It planned that a small group should be established with 3 or 4 members from each church to plan and promote joint working. The brief of this group would be to plan well in advance and consider the year ahead. We ask for your prayers and support as we move forward in God’s Name. What is an Local Ecumenical Partnership (LEP)? Local Ecumenical Partnerships (LEP’s) come in a variety of forms, but each is a situation where more than one Christian denomination is working together under a formal agreement. LEPs include places where local churches share their congregational life or share buildings or covenant with each other. In general there are six categories of LEP: the first 3 could relate to our situation. These are listed below. Some Partnerships will fall into several of the categories at once. While there may be a variety of worship styles, there is basically one joint congregation with shared sacramental ministry, common finance and an Ecumenical Church Council which as far as possible co-ordinates the life of the Local Ecumenical Partnership. There will usually be only one worship centre. There may be a ministerial team, drawn from the partner denominations. Some of the ministers may have pastoral responsibility for other congregations (whether Partnerships or not), and others may serve full time in the LEP. In many cases, however, ordained ministry will be provided primarily by one of the partner denominations, often in an agreed alternating pattern. The mix of denominational partners will have a major influence on the style of the Partnership. Aspects of the life and worship of each tradition should be reflected in the Constitution. The Partnership must be able to be recognised as a local congregation by each of the partner Churches. Local decision-making will focus in an Ecumenical Church Council or Congregational Meeting. It is important to remember that the denominations are evolving all the time - so a mix of recognisable denominational worship and ecumenically inspired forms will be appropriate. In a Single Congregation Partnership, the aim must be to offer a nourishing and varied diet of worship. Most worshippers embrace this readily. Many Free Church people appreciate the opportunity for more frequent eucharistic worship, while some Anglicans enjoy family services and informal worship which may have a key role in reaching out to those on the fringe of the church. Single Congregation Partnerships may come into being by the formal coming together (usually into one building - though some retain two and use them for different purposes) of two or more congregations, where a pooling of resources is perceived as God's will. Such partnerships are a development of a local Churches Together group, where a level of trust, commitment and inter-dependence has been reached which seems to warrant a formal covenant. The local congregations involved in such Partnerships remain as distinct worshipping congregations, with their own government and finances, and usually with ordained ministry from their own denomination. No-one's understanding of the nature of the church need be threatened. There must, however, be a conviction that the deeper commitment to unity represented by a covenanted relationship is a response to Christ's call and the prompting of the Holy Spirit. A Local Covenant is a significant mutual commitment under God and between congregations, local churches and parishes in a particular locality for mutually discerned and agreed purposes. To use the language of covenant for anything less than this is to debase a powerful Biblical concept. As already noted, Local Covenants are like marriage - not to be lightly entered into. A significant depth of relationship, commitment and activity is possible through a local Churches Together or Council of Churches, signifying a move from co-operation to commitment. Those thinking about forming a Covenanted Partnership must consider prayerfully if what they discern to be the purpose and the level of mutual commitment of the churches requires a covenant relationship. Where there is at least one shared building, covered by a legal Sharing Agreement, the Partnership will fall within this category. Thus the Shared Building Partnership category embraces both those Partnerships where there is the minimum of integration of worship, congregational life and ministerial oversight and those Partnerships where integration is most highly developed. In the first case the Partnership will only fall within Category 3: in the latter it will certainly fall within Category 1 and/or 2 as well. In the case of a Category 3 only Partnership, there is no need for a Declaration of Intent or Constitution: the Sharing Agreement is sufficient. The PCC has agreed to update the toilet facilities at St. Peter’s, making it more accessible to all users. Work should take place in November, and will cost £6,360 including VAT. The loo will be out of action for a week, and notice will be given on the weekly sheet! If you would like to contribute financially to support this long-awaited improvement, please put your donation in an envelope marked ‘Church Toilet Donation’ and return it to church. If you are a UK Taxpayer, and pay sufficient tax, please consider Gift Aiding your contribution, which will increase the value of your gift by 25% at no cost to you. As part of the project, we shall be supporting the Toilet Twinning initiative, which was set up five years ago through a partnership between two charities, Cord and Tearfund, in a bid to “flush away poverty”. Throughout the world, 2.5 billion people have nowhere clean, safe and hygienic to go to the loo. The aim of the fundraising campaign is to encourage people and organisations to make a donation and “twin their toilet”. A donation of £240 will be given to fund a toilet block in a school or a displacement camp in a part of the world where it is most needed. Each Remembrance Sunday we hear the names of those of our Parish who have paid the ultimate sacrifice and given their lives in the wars of the last century. It could be that some of these men are known to you on a personal level – the sacrifices they made and who they left behind. My husband James’ Great Uncle Bob Foote was killed at Arras in the summer of 1917 and a few months ago it was with great pride that we visited the Arras Memorial and cemetery to pay our respects to him. Before we embarked on our Flanders Fields trip I gathered some information on some of the fallen of our Parish with the intention of trying to find their graves or memorials so that we could also pay respects on behalf of our Church. Despite having access to various genealogy sites I was very sorry not to be able to find our more personal stories and would be really interested to hear from anyone who has any knowledge of those we traced. As everyone says who visits the World War One Cemeteries it is a moving and humbling experience and on behalf of the Church I was able to leave crosses for a few of those men who died during the summer of 1917 – at Arras and Ypres. At Arras is buried Private William Priest of the 10th Battalion The Loyal North who died aged 25 on 9th April 1917. William was the son of Harry and France Priest of 8 Irving Place, Blackburn. At Tyne Cot Military Cemetery near Passchendaele we paid our respects to Private John Wilkinson, 1st Battalion East Lancs who died aged 19 on 4 October 1917. He was the son of Walter and Alice Williamson of 6 Shore, Wilpshire. (I think this was situated near the old railway station near Knowsley Road). Private John Duckworth of the 8th Battalion the Loyal North Lancs died aged 34 on 4 August 1917. Private Duckworth was the son of Mr and Mrs John Duckworth of 47 Meadow Street, Blackburn and as he had no known grave his name is recorded on a panel at the Menin Gate in Ypres. Between Poperinghe and Ypres is a village called Vlamertinghe and here we paid our respects to Private T E Lord of the 1st Battalion the Loyal North Lancs who died aged 32 on 1st June 1917. Private Lord was the son of Mr and Mrs Edmund Lord of Balderstone and left a wife who lived at Deneley, Copster Green. Privates Wilkinson, Duckworth and Lord all died during the campaign we know today as the 3rd Battle of Ypres. * An Altar Server is someone who helps the priest at church services, especially Holy Communion. They serve at the altar! They are on duty about once a month, at the 8.00am and 10.30 services. 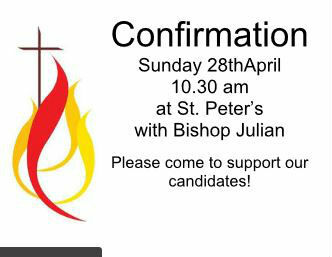 * Pick up a leaflet from the back of church, or ask the Vicar or an Altar Server for more information. * Choristers help lead the singing and the prayers. There are weekly practices during term-time, and social events. * Junior members get paid a small amount for every attendance. * Pick up a leaflet from the back of church, or speak to the Organist and Choirmaster after the service. It had become the custom at St. Peter’s to commemorate at Sunday and Wednesday services all those who have died in the past during that week. Obviously, the length of the list increased annually, so that it reached well over 20 names on some Sundays. At the same time, the number of the congregation remembering the earliest names was decreasing. Other difficulties arose when an anticipated name was omitted or mispronounced. Virtually all visiting priests drew attention to these problems. It would have been possible to shorten the list by including, for example, only those deceased within the last 10 years, but this would have been an arbitrary decision. The church remains open daily, with the Book of Remembrance on view. Although the display case is locked to preserve the Book, a warden or sidesperson will willingly open it to reveal a different page if required. The All Souls’ Service takes place each year specifically to honour friends and relatives who have died. The PCC therefore decided, after careful consideration of the options, that following this year’s All Souls’ Service, which was held on 4 November, only the names of the recently departed would be read out each week. However, should anyone wish to have a special prayer, this may always be arranged by using the Prayer Request basket at the back of the church, or by asking a Churchwarden. The Parish Magazine is published monthly except for July/August when there is a joint issue. It includes details of services and other events in the life of the church, along with many interesting articles. The Cost is £8.00 for a year's subscription. During Advent there was a collection box/area at the rear of church for any food donations, that will then be passed on to the Foodbank project, to help those less fortunate. Over the Advent period we managed to collect enough food to send 8 boxes to the Foodbank. We will continue to collect in church, and thank you for any further donations.